Looking for high quality, personalized one on one private lessons? Do you have a young up and coming songwriter/producer on your hands? Would your son or daughter love to play in a band someday? 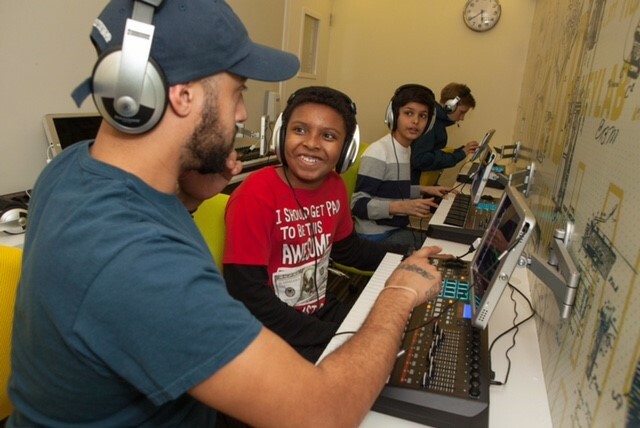 Conveniently located in the heart of Carroll Gardens, Brooklyn, Keylab is the new modern music, arts, & technology school that offers individually tailored private lessons, dynamic group classes, exciting workshops and more for ages 5 to adult. Our primary mission is to educate, inspire, and empower students of all ages towards defining and realizing their creative ambitions. We use a combination of traditional music education, modern technology, and performance exercises to help students develop into skilled, confident, and creative artists. Our classes are an upbeat, fun, and effective way to get your children involved in music. Want to hear what our kids can do? Go to Keylab.nyc for audio and video of our students in action. 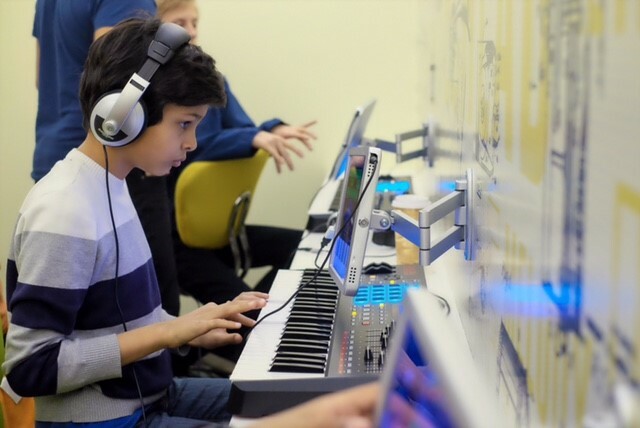 Whether your child wants to become a superstar producer, a film composer or just wants to experience the joy of making music for the fun of it, Keylab has a class for you! Visit www.keylab.nyc or email info@keylab.nyc for more info, and stop by one of our open house events on Sat Sept.9th and 16th from 12-4pm to see our unique music education classrooms and meet staff to learn more about what Keylab has to offer your family. We offer exciting comprehensive group piano classes for kids ages 5 to 12. Your budding keyboardist will learn to read, write, and play music for piano through fun activities, games, and individual and group performance exercises.Our teachers combine traditional music education methods with modern music technology, ensuring your kids will come away from their class each week inspired and empowered to create and perform with passion and skill! We offer fun and inspiring composition and music production classes for kids ages 5 to 12. 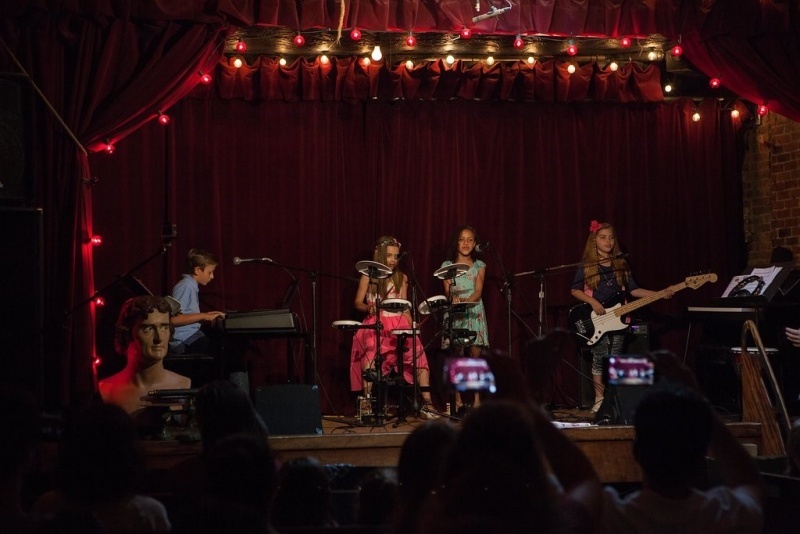 Our teachers combine traditional music education methods with modern technology, ensuring your kids will come away from their class each week inspired and empowered to conceive, create, and perform with passion and skill. Our students learn basic music theory, including rhythm, harmony, music notation; and music composition and production techniques. Intermediate/advanced classes get to work on some very cool projects like creating music for film and multimedia projects, and even doing some music based coding and robot building! Student projects are presented at our awesome Dec and June project parties, and we also share student content to our various social media pages. Our band students learn valuable instrumental and performance skills that will allow them to share the joy and excitement of playing in a group. Our teachers use traditional music education methods with a modern musical perspective, ensuring your kids will come away from their class each week inspired and empowered to create and perform with passion and skill! Guided by their instructor, students will choose songs to be performed in our Dec and June showcases. Instrumentation will vary, and students can bring their own instruments or use ours. Please note that in order to ensure students are placed in the appropriate band class, all band classes except for Percussion Lab require students to come in for an informal skill assessment/audition before being placed in a band. Auditions are being held on Sat Sept. 16th, 23rd, and 30th from 12-2pm. If you cannot make an audition on these dates, please contact us to arrange for your child's audition. 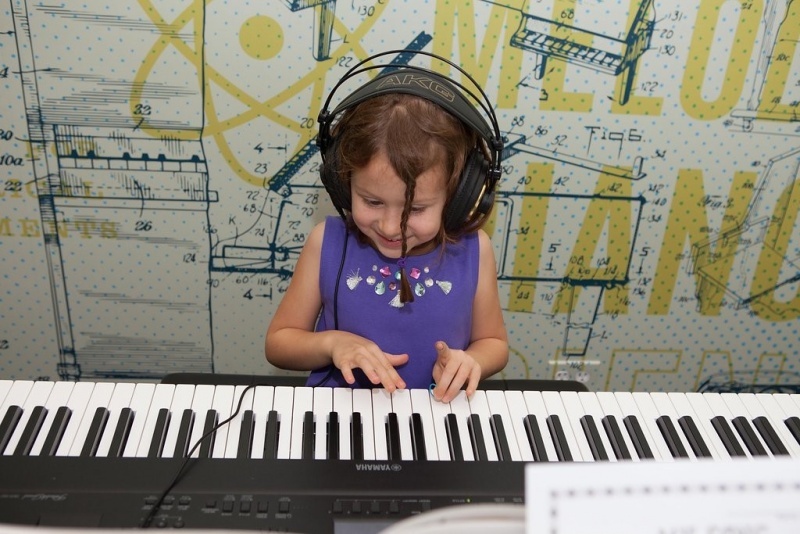 Keylab offers the perfect two-hour after-school program for kindergarten-fifth grade families who are looking for a unique, low-pressure, and fun music education experience. Our dynamic music program allows children to use our three modern music education classrooms to learn all about the keyboard, music theory, music composition, and production; and to gain experience in group performance using keyboards, guitar, bass, drums, vocals, electronic and computer-based live performance techniques. No matter what skill level your child is at, we will provide a fun, educational, and inspiring experience for them each week! Adrian Cohen is an active performer and educator, and the founder and director of Keylab. He has done a little bit of everything, including performing as a rock and jazz musician, writing music for film and radio, and working as a dance accompanist. He founded Keylab as a way to teach music theory, instrumental technique, songwriting, and music production to all ages using his fun, modern, and creative method developed over 30 years of teaching, performing, and composing.